8:00 AM - 9:00 PM. Our Wholesale Warehouse is NOW CLOSED for the 2018 Christmas Season. Thank you for your patronage! Get Prices Online. Check Our Retail or Wholesale Price Sheets. & Floral Grade Quality Poinsettias. We have been serving the Tampa Bay Area for over 30 years. Note: Our Christmas Trees are all Pre-Cut not (Cut-Your-Own) Christmas Trees. Marketing & Sales John J. Sansone, Jr.
Fresh Cut Christmas Trees, Floral Grade Quality Poinsettias, Wreaths, Garland & More. All our wreaths are made out of our fresh cut christmas tree branches. We can make fralsam fir, douglas fir, blue spruce, black hills spruce, scotch pine or fraser fir wreaths. 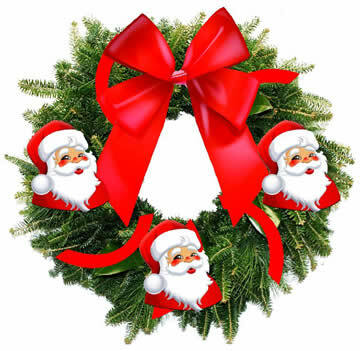 Have a custom design you want to put on a Wreath? Email us your artwork and we'll send you a quote.